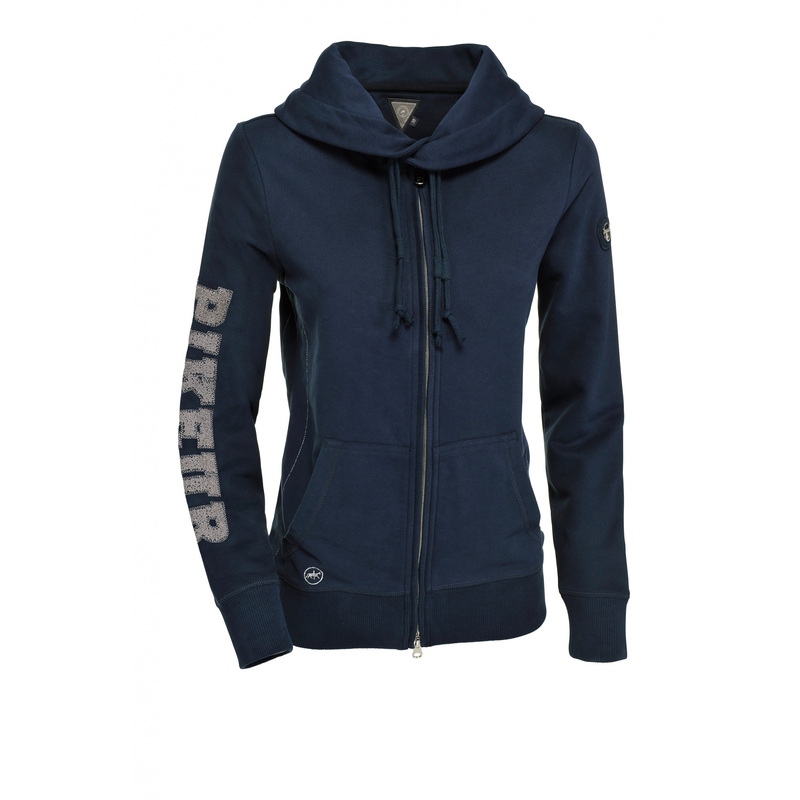 Comfortable and breathable ladies' sweat jacket with an impressive stand-up collar. It is made of a modern jersey consisting of 50% cotton and 50% polyester. There are two comfortable pockets on the front. Its zip can be fastened both ways. The jacket is decorated with a big Pikeur writing on a sleeve and a small emblem on a pocket and the left shoulder.